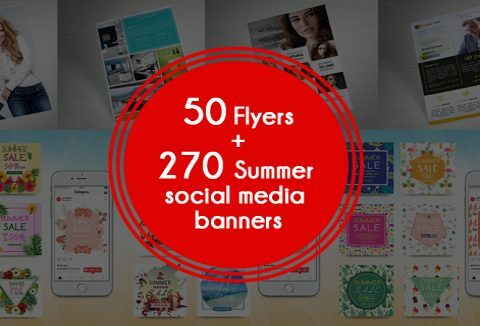 Step up your game with a steaming hot bundle of 270 social media banners & 50 flyer templates. Entice your audience and improve your reach and conversions. DealClub member? Grab it for FREE! The bundle contains easy-to-edit templates, all you have to do is double click the smart image layer, paste in your own design, save and you are done! DealClub member? Grab this incredible plugin worth $50 absolutely FREE! The only bundle you’ll ever need for Social media. Instagram templates look amazing! Superb value!